Ryburgh Church Life in photographs. 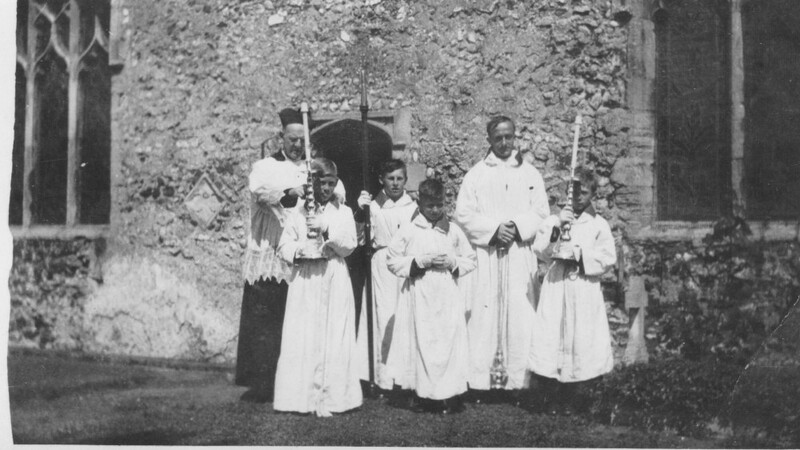 The following two photographs were kindly supplied by Mrs Pauline Smith and depict the various altar boys with Mervyn White and the Revd. Hugh Tatham and must date from the late 1930's. Can you identify any of the boys? If so, please get in touch. 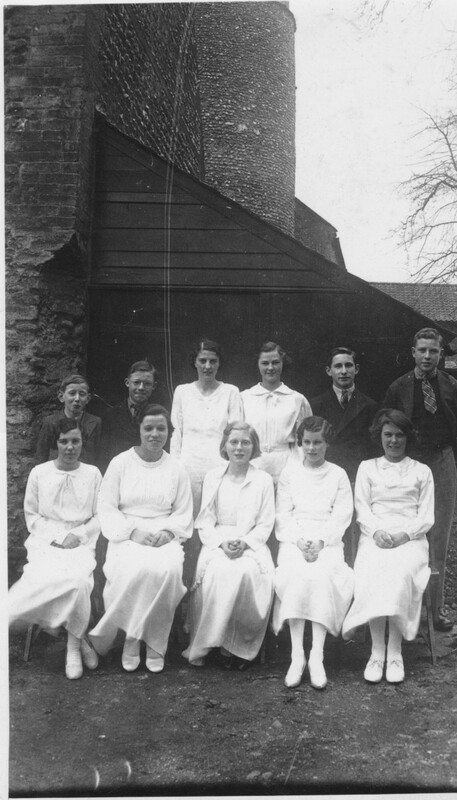 Again from the 1930's is a confirmation class, taken at the back of the Rectory Barn. 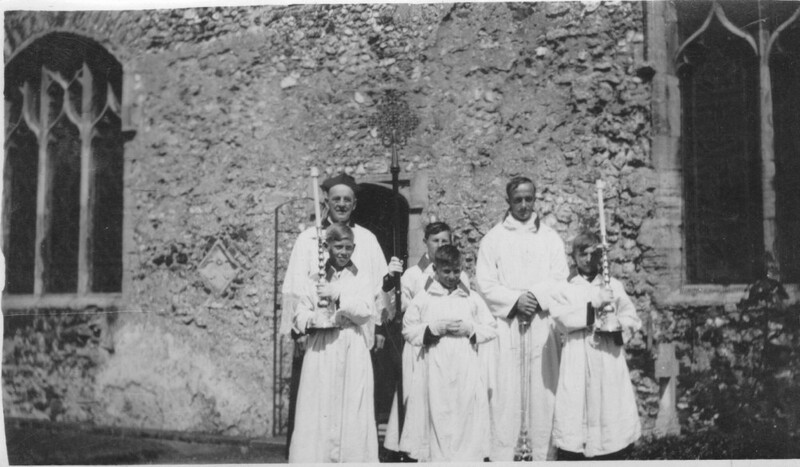 Pauline's Aunt Lorna is on the back row 3rd from the left.